Paula San Miguel, Licensed Massage Therapist, is a teacher and leader in therapeutic massage. 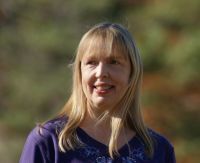 With more than 25 years of experience, Paula has extensive experience in multiple massage techniques including Neuromuscular Therapy, Swedish Massage, Deep Tissue, Connective Tissue Massage, and Polarity Therapy. Paula graduated from the Atlanta School of Massage in March, 1993. To schedule your massage, please contact Paula San Miguel at 770.380.3115 or contact@paulasanmiguel.com.